Consumers today are more health and environmentally conscious. Consumers are reducing their carbon footprint by living in more urban areas and driving less and constantly searching for convenience, efficiency and healthier food choices, particularly when it comes to selecting and purchasing snacks and drinks. So, what does that mean for the convenience store industry? How will consumers change the way one-stop shops traditionally frequented for gas, fountain drinks and a jalapeño kolache? In fact, consumer behavior has increased the demand for C-stores. The number of new stores is on the rise and stronger than ever. According to the National Association of Convenience Stores (NACS), the number of brick-and-mortar convenience stores grew to a record breaking 154,958 in 2017. The only retail channel with more locations were dollar stores. The continuous growth of the C-store industry tells us that its primary offering, the convenience of refueling and refreshing, is still relevant to the everyday consumer. As consumer demands are evolving, C-stores will rethink what they are offering for convenience, especially in the drink department. Beverage sales are a key factor in the success of a convenience store considering that they yield much higher profit margins than fuel and any other in-store product. Jeff Lenard, NACS’ vice president of strategic industry initiatives, reveals that nearly half of all convenience store customers enter the store with the intent to purchase a beverage. That’s a significant indicator of the importance of the right beverage program. Whether they pour their beverage from a dispenser into a cup or reach into a refrigerated cooler depends on how the consumer perceives the drink offerings in the store. A recent Coca-Cola study confirmed that consumers crave variety when it comes to beverage selection and choose retailers based on provided drink options. 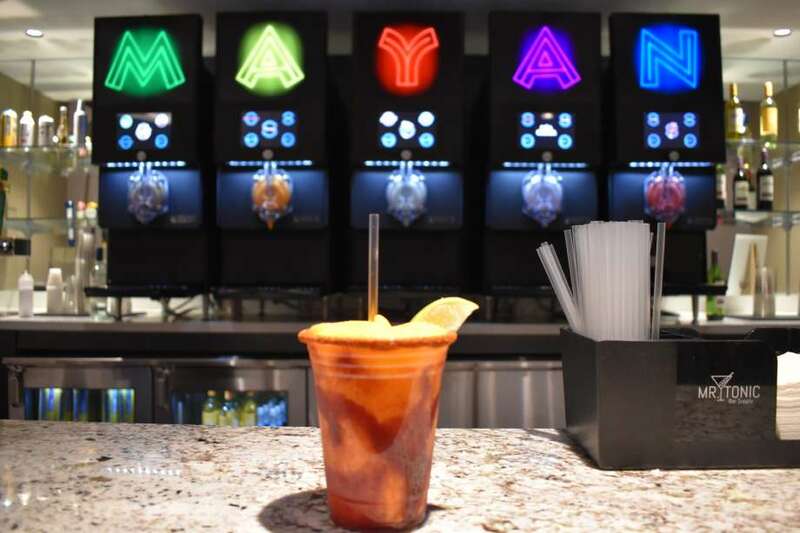 Nearly two thirds of surveyed customers prefer to have the option of choosing between traditional and new flavors, and 73 percent welcomed the idea of rotating drink options on a monthly basis. To address the consumer demand for variety, convenience retailers are not only expanding their carbonated soft drink flavors, but investing more in the frozen beverage industry. Mintel reports that convenience stores are broadening their drink menus by offering 64 percent more slush and frozen drinks, 41 percent more milkshakes and shakes and 38 percent more smoothies. Frozen drinks, especially frozen carbonated beverages, can churn sales quickly and yield higher profits than their soda counterparts. Frozen beverages are also a great motivator for other impulse purchases. With frozen drinks as the focus of promotional offers, C-stores are advertising food and drink combos which in turn results in more in-store sales. 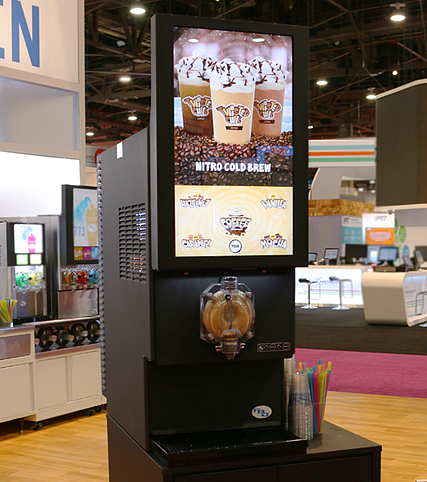 C-store retailers are getting creative in the way they communicate their frozen drink portfolio, including the type of equipment that they display to their customers. 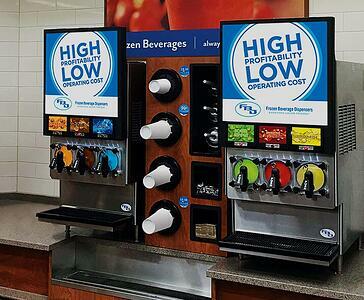 While some retailers invest in a beverage center of four to ten frozen beverage machines, others have consolidated their equipment without compromising their drink collection. 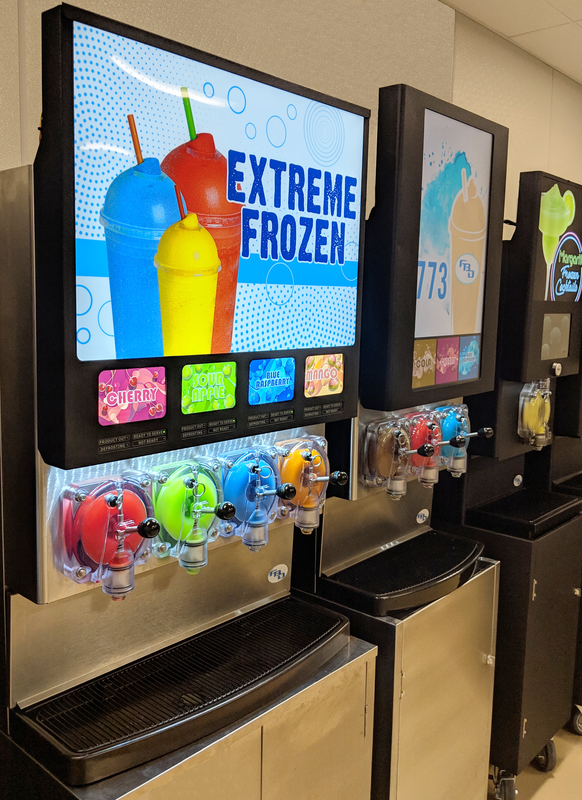 The multi-flavor frozen beverage unit has changed the C-store industry by offering up to 16 flavor combinations in a single-barrel dispenser – essentially, more frozen beverage flavors utilizing less counterpace. The touchscreen interface also offers a modern, fun experience as customers select their custom concoction. 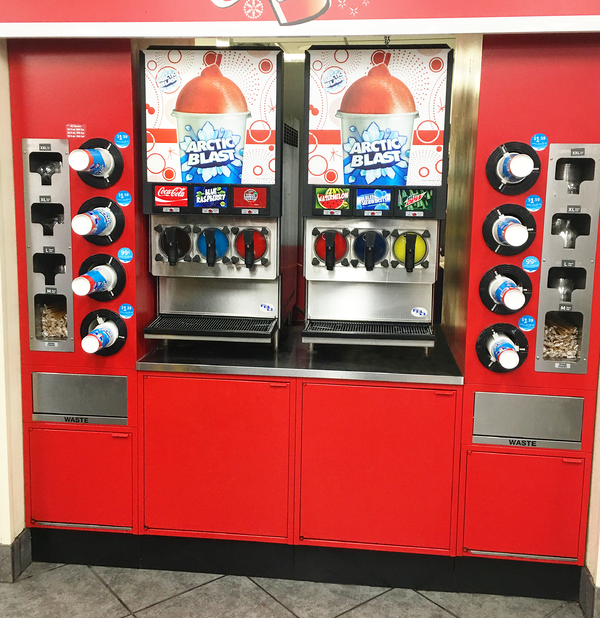 Much like the Coca-Cola free-style, a multi-flavor frozen drink dispenser uses one base flavor and gives customers the opportunity to mix in four different add-ons. C-store owners can use this equipment to differentiate themselves from competitors. The multi-flavor, customized trend is popular among younger demographics, like Millennials and Gen Z, and certainly is a deciding factor when they select where to purchase their drinks. Coffee has proven itself to be another opportunity for frozen drink sales at convenience stores. Twenty-two percent of consumers prefer convenience store coffee over coffee from quick-serve restaurants. Retailers are aware of the popularity of C-store coffee and have begun implementing frozen coffee programs. Specialty coffees, such as granita-style iced coffee and frozen cappuccinos have gained popularity as an alternative to a hot cup of coffee. Many frozen carbonated drink dispensers and granita machines can be customized to serve various coffee flavors. Some C-store frozen beverage programs have been tailored to appeal to the more health-conscious consumers. According to Mintel, only 36 percent of convenience store foodservice consumers are satisfied with the healthy options that are currently provided. Retailers are also turning to more “clean” frozen flavors, like carbonated green tea and sugar-free mango, to provide a similar refreshing frozen drink experience. . Promotion of the product is a vital component in maintaining frozen drink sales at convenience stores. This is an opportunity to create a new C-store staple. Gas toppers, exterior window clings and curbside signage must be used to remind consumers of the frozen beverage center that awaits inside. Especially since only 7.3 percent of consumers decide to purchase a drink once they are already inside of the store, according to the NACS Convenience Store Tracking Program. Creating memorable marketing and offering a consistently enjoyable product are both equally important in becoming top-of-mind for consumers who want to quench their thirst. Offering new drinks types, such as frozen carbonated drinks, milkshakes, smoothies and frozen coffees, rotating new drink flavors and creating a quality product can keep C-store drinks relevant and C-stores profitable.